When I went to see the Immortals movie, The Darkest Hour movie showed as a preview. I thought it would be a good one to see. Its release date is December 25, 2011. 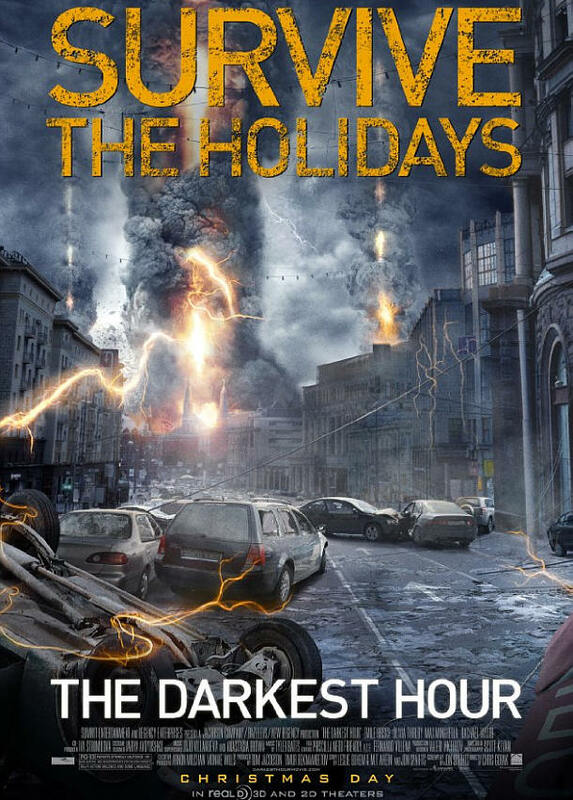 The story is about five people who are in Moscow, when the world comes under attack by aliens. The only thing that the aliens want is our power supply that they can live upon. And it’s up to five young people to survive and defeat these energy beings to save the world. Starring Emile Hirsh, Olivia Thirlby, and Max Minghella. Comments for Here’s A Look At The Movie : The Darkest Hour are now closed.